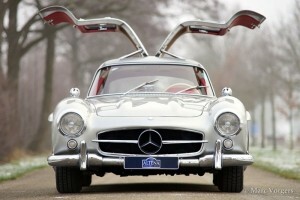 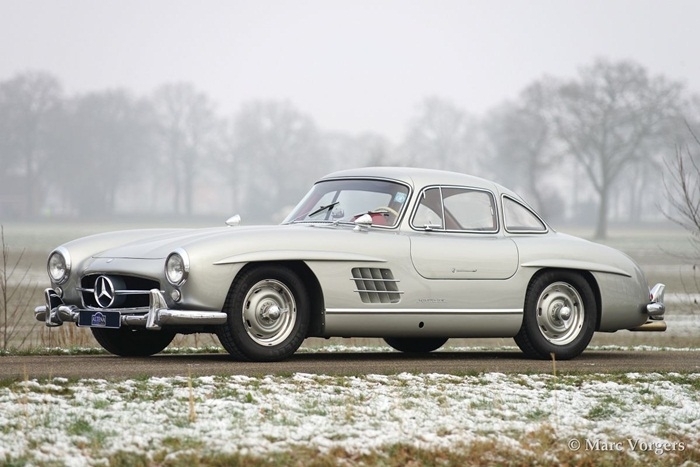 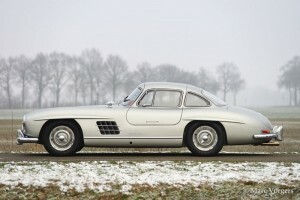 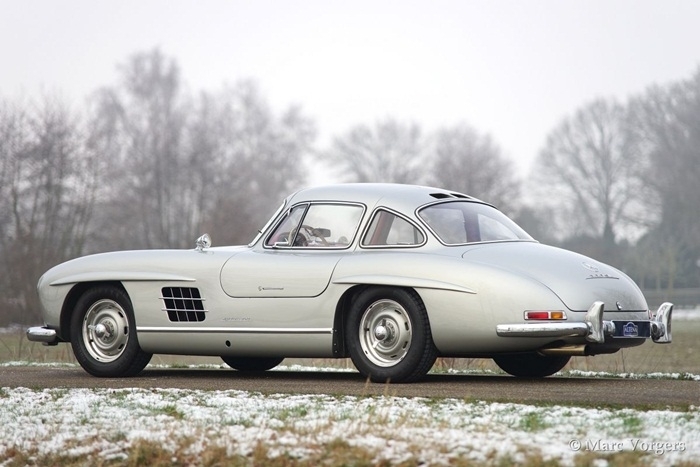 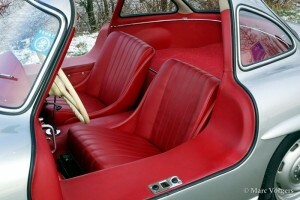 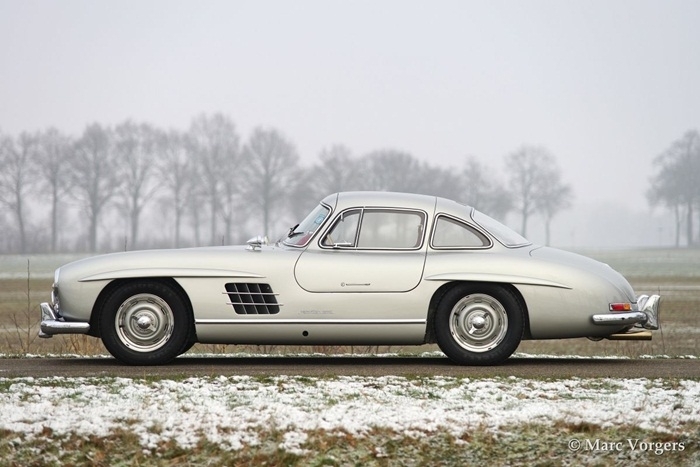 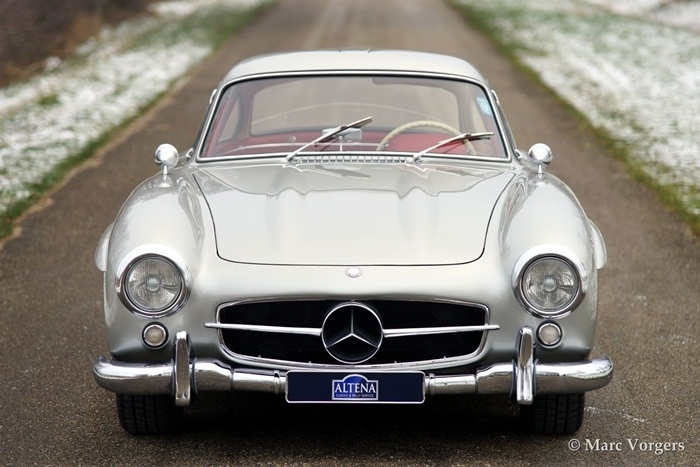 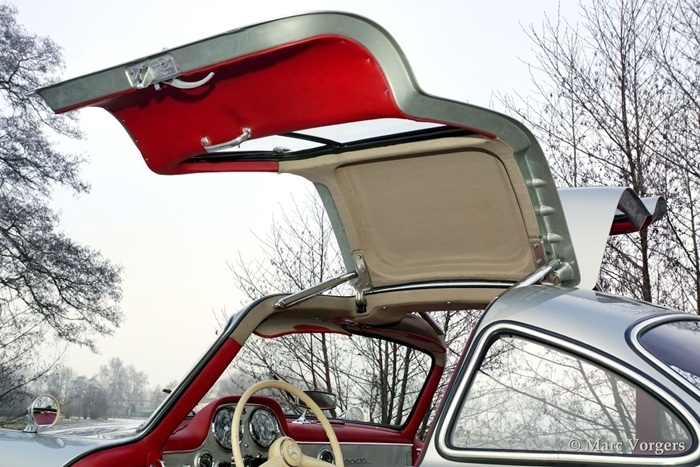 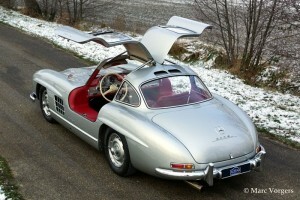 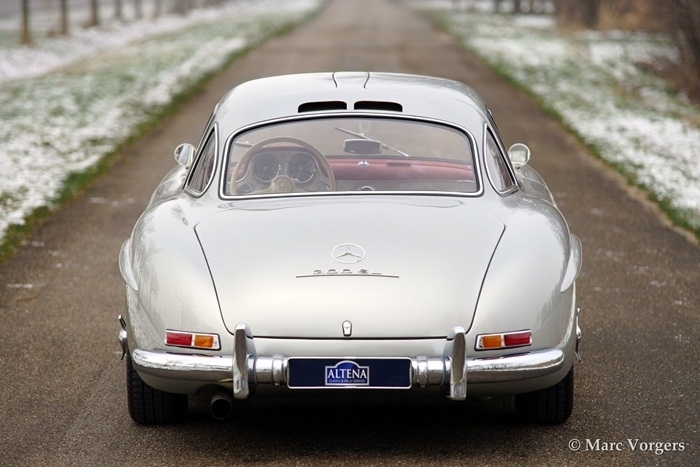 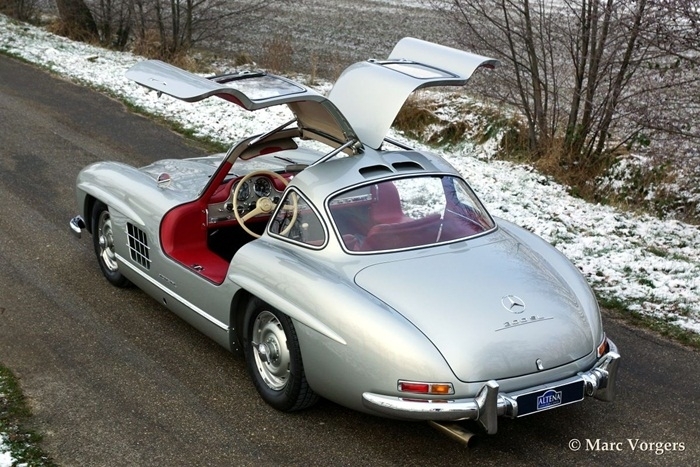 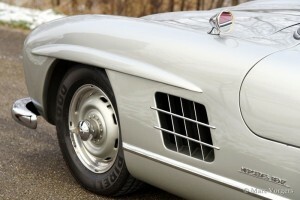 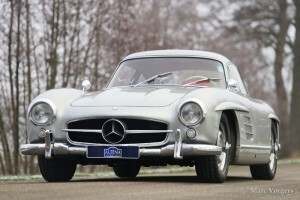 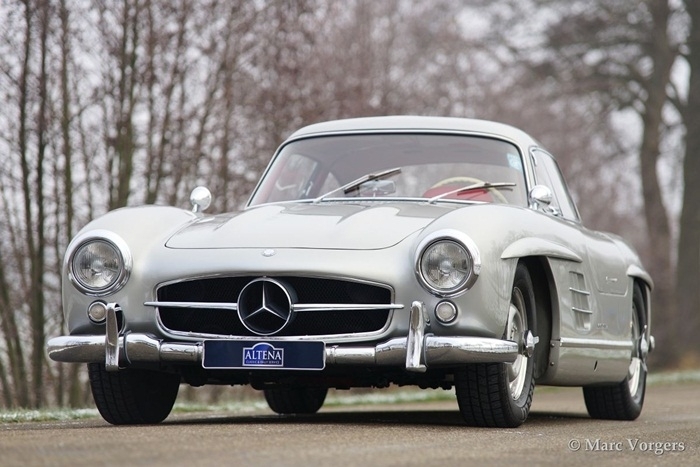 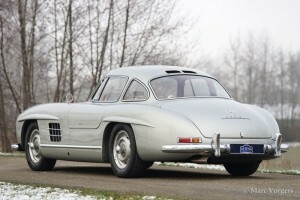 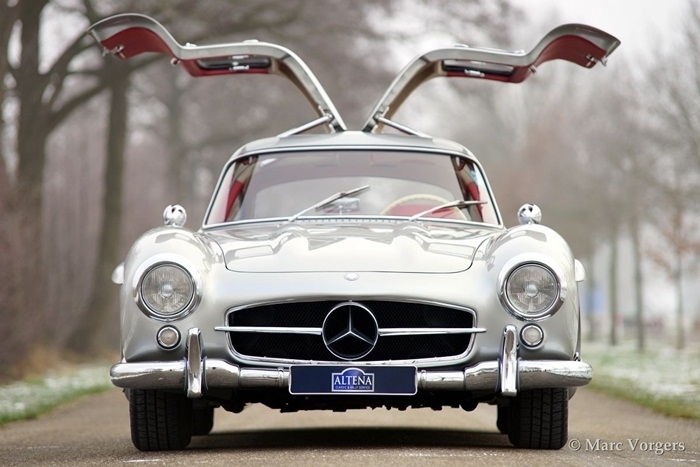 The 300SL is famous for its distinctive gullwing doors, which gave him the English name “Gullwing”. 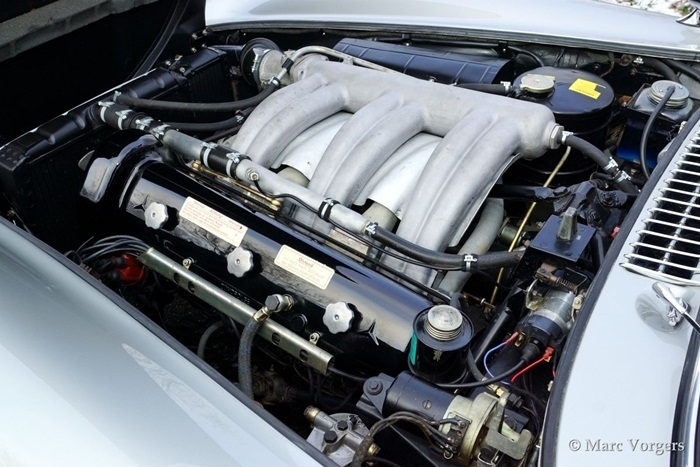 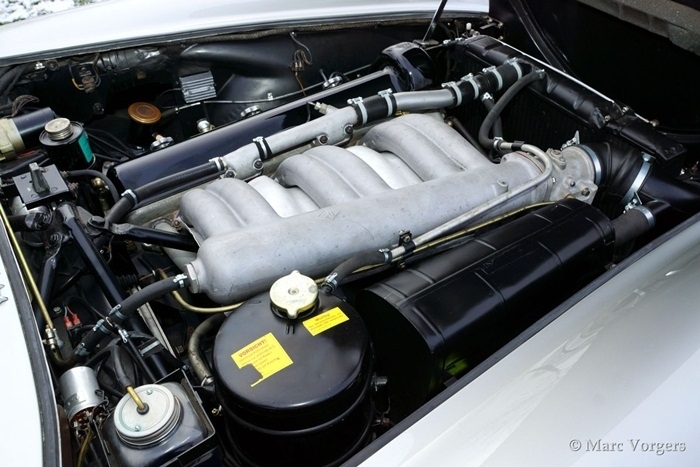 It is the first production car with a four-stroke engine with petrol direct injection. 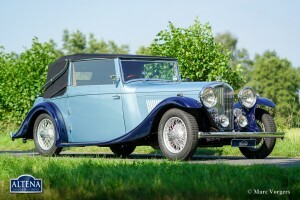 The W198 is equipped with a 2996 cc 6-cylinder engine and delivers 215 hp. 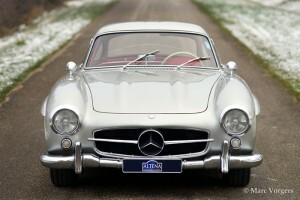 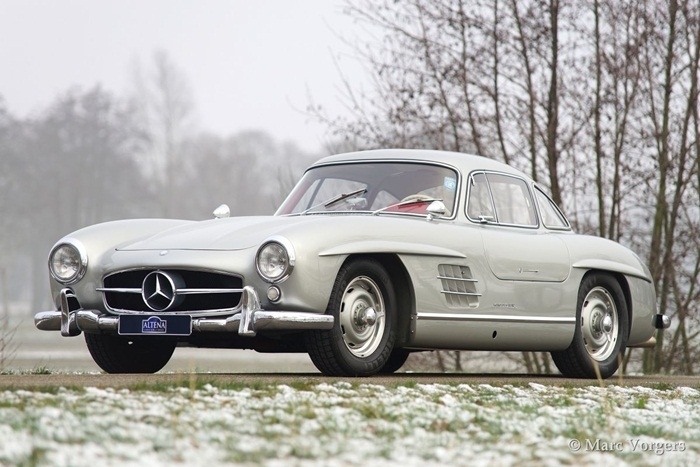 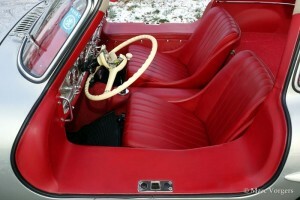 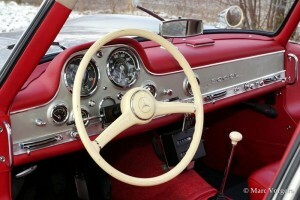 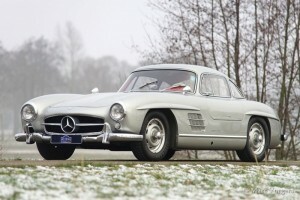 Only 1400 cars of his top model from Mercedes were produced from 1954 to 1957. This silver grey 300 SL with its beautiful red interior was originally delivered in California USA, and after participating in the famous Mille Miglia in 2001 it was bought by the Dutch owner. 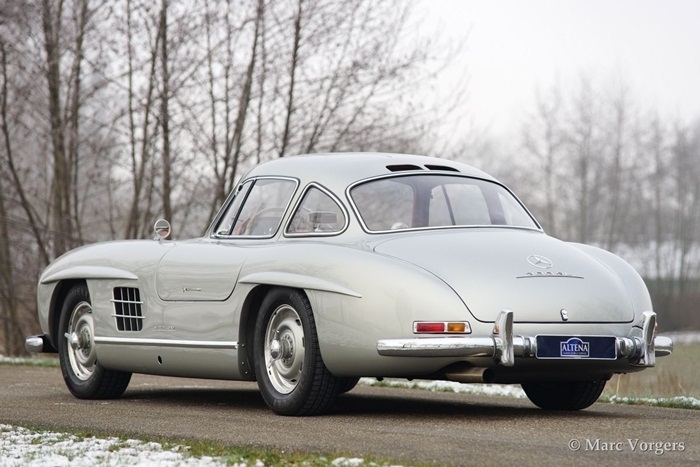 The car is very professionally maintained by a German specialist which includes the front disc brakes, electronic ignition and dynamo. 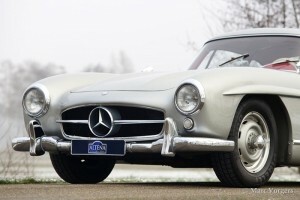 No costs have been spared to keep this historic heirloom in absolute top condition.